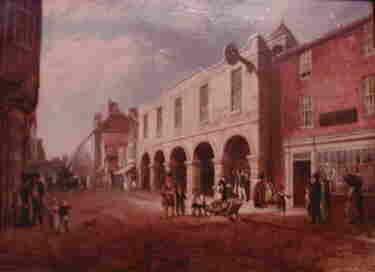 William George Moss painted this in oil on canvas in 1823. 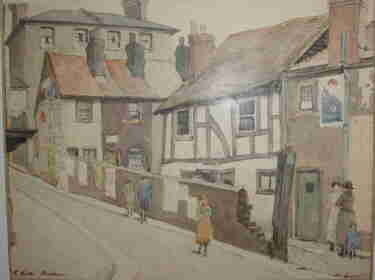 The Old Town Hall is now the Old Town Museum and this picture is exhibited there. 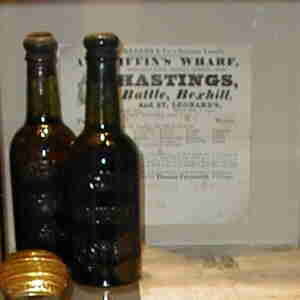 The Museum re-opened in 1999 after a lottery-funded refurbishment - the illustrations are early digital photos, hence the quality. 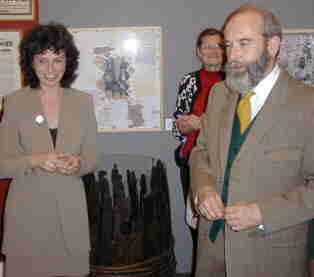 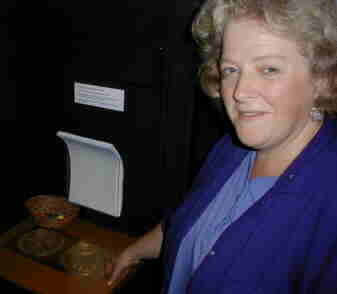 Museum Director, Victoria Williams (now retired) with Brion Purdey, President of the Hastings & St.Leonards Museum Association at the reopening of the museum on 15th October 1999. 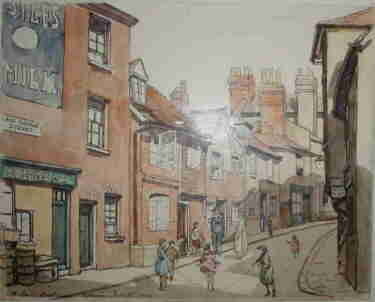 E.Lesley Badham painted these now - gone corner of the Old Town in the '20s. 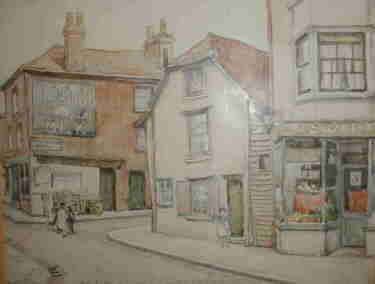 He was Principal of the Hastings Art School until his untimely death in an air raid in 1944.